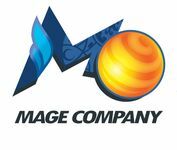 MAGE Company is publishing board games since 2010 starting with Wrong Chemistry and following by 12 Realms, Hoyuk, Res Publica, Raid and Trade and more. Growing step by step, building new partnerships with well known publishers and distributors, like Edge Entertainment, Heidelberger, Ninja Division, Redbox, TenDays, BrainTeasers, Chaos Publishing, Blackfire and more. In 2012 MCG started producing its own premium card sleeves line and each year more sizes are added to the premium category. MAGE is developing and publishing board games that offer a different playing experience and always supports the main titles with news expansions that enrich the games with new mechanics. Following the standards of the market, each game includes components of high quality. Thanks to your support we will keep offering unique gaming experiences.